Posted to some stars awful cruiser, Dr. Corin Talovich hoped to serve his time quietly and get on with his life, but fate stepped in and decided otherwise. Crashing into an unknown planet was the last thing Corin expected. 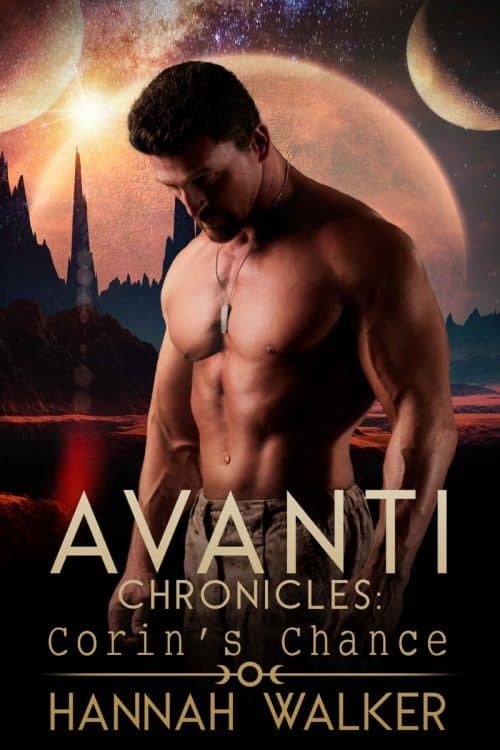 With only his friend, Lieutenant Commander Tate Riven, by his side, they face the unexplored world and new enemies bravely, leading them to the Derin Clan, where they’re welcomed by the leader’s son. Kel isn’t sure about the strange men, but he isn’t about to send them away, especially when the bond between Corin and himself is something he can’t ignore. When another clan wages an attack, Kel is forced to make some hard choices which nearly costs him everything he holds dear. Together, with their allies, Corin and Kel fight, focusing on the future they desire, knowing failure not only dooms their love, but also those around them. Side by side, they work to destroy the evil threatening to keep them apart and becoming the family both men desire. May your journey be swift and uneventful, may you all get one step closer to your truemates and may good triumph over evil. Remember love conquers all.